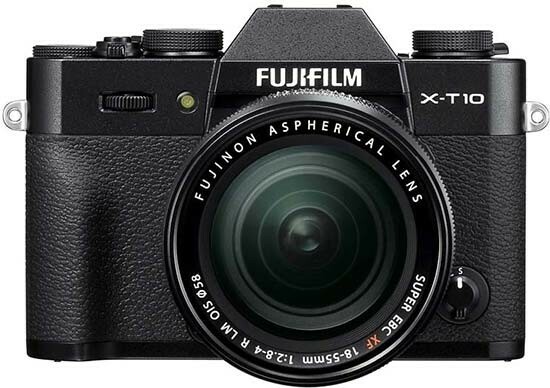 Reviews of the Fujifilm X-T10 from around the web. The Fuji X-T10 is the newest X-mount mirrorless. It is built around the latest generation 16 megapixels X-Trans CMOS II sensor with built-in Phase-Detect AF and paired with an EXR II processor. This combonation delivers full-resolution images from ISO 100 to 51200. It can sustain frame-rates of 8 FPS for up to 8 frames.